Data analysis is an integral part of any research. A study is considered incomplete until and unless it has a set of data that is collected keeping in mind the research objectives and is analysed using the most suitable statistical tools. 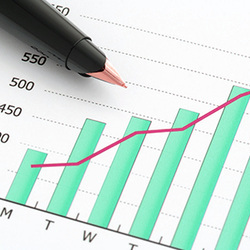 There are many aspects of statistical research and we provide help with all of them. A number of specialised programs can be used to analyse data, and we have expertise in using most of them. SPSS or Statistical Package for Social Sciences is the most commonly used program that leads to accurate results. However, using SPSS is not that easy. You have to understand the format for the entry of data and carefully choose the tests to be applied. There are many tests that are applied under this program. Some of these are MANOVA, Mann-Whitney U test, principal component analysis, correlation, structured equation modelling, linear regression, etc. Selecting a test that will lead to desired results is not easy, as students first have to learn the intricacies of all these tests. However, there is no cause of worry, as we offer complete dissertation data analysis help and statistical help using SPSS. Our team of professional statisticians helps students pick some suitable tests according to their study objectives and design. We not only help our clients with the filtering and organisation of raw data, but also support them in managing their research data sets and analysing them with complete accuracy. By using SPSS, our statisticians analyse even the most complex of data sets and churn out useful information. Under our dissertation statistics help service, our statisticians also prepare modules and tables, as well as undertake the graphical representation of data. They interpret the results and present them in a proper format. This is all done using the SPSS module. Send your data file to our team if you are seeking reliable assistance with SPSS. You may email us at info@dissertationindia.com. See a sample analysis chapter below.